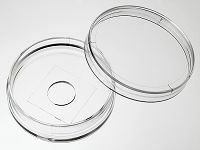 35mm glass bottom dish, dish size 35mm, well size 10mm, #1.5 glass(0.16-0.19mm). Designed for high resolution imaging such as confocal microscopy. D35-10-1.5-N , request a free sample or get a quote. Quote: "The fluorescently tagged MDCK cells (pEYFP-mem &amp; pmCherry) were seeded on a glass-coverslip bottomed 35 mm Petri dish (10 mm micro-well #1.5 cover glass, catalog number D35-10-1.5-N, Cellvis), 24 h before experiment"
Quote: "For both live and fixed cell micros-copy, cells were plated and imaged on 35 mm glass bottom dishes with a 10 mm micro-well #1.5 cover glass (Cellvis, Mountain View, CA) coated with 25 mg/mL laminin (114956-81-9, Sigma-Aldrich)." 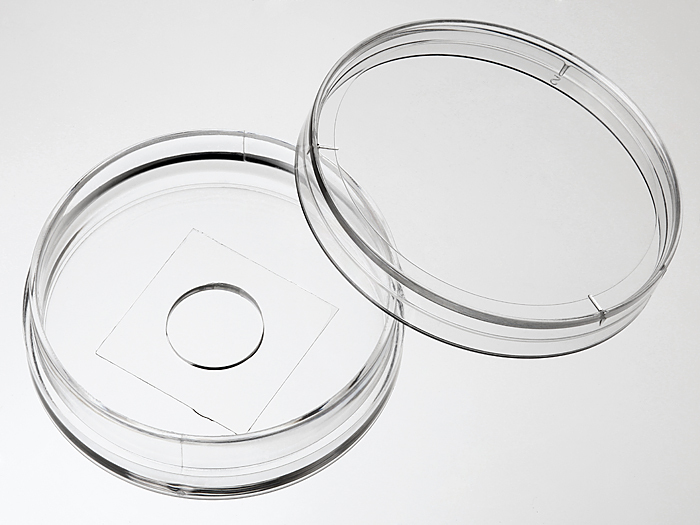 Quote: "cells were plated into 35 mm glass-bottom dishes (In Vitro Scientific, D35-10-1.5-N) at density of 1 × 10 5 cells/plate"
Quote: "For SRS imaging of glucose-d 7 , around 0.3 M cells were seeded on glass-bottom dishes (In Vitro Scientific, Cat# D35-10-1.5-N) with 25 mM glucose-d 7 in glucose-free DMEM media supplemented with or without 10% FBS"